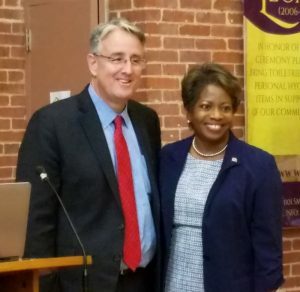 ANNAPOLIS — State Sen. Richard Madaleno of Montgomery County will be the next governor of Maryland, if young Democrats have their say. Madaleno received 44 percent of the 55 votes in a gubernatorial straw poll conducted Monday during the Young Democrats of Maryland convention at the Wiley Bates Legacy Center in the state capitol. Former NAACP President Ben Jealous came in second with 18 percent of the vote, followed by tech entrepreneur Alec Ross with 16 percent. Madaleno, who spoke at the convention, also presented running mate Luwanda Jenkins, a former aide of Gov. Martin O’Malley. Jenkins, 55, is currently chief operating officer for The LEADERship, a nonprofit organization that works with those from Baltimore who seek leadership positions. 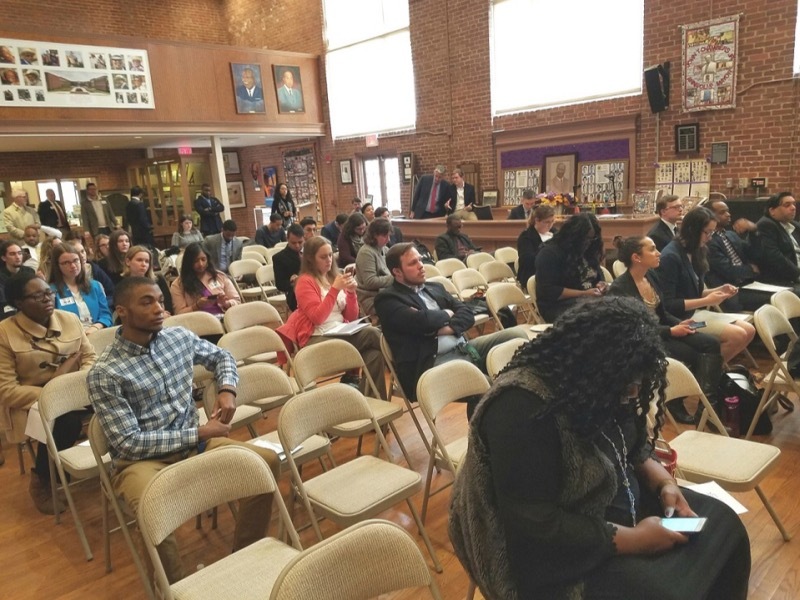 Other candidates in attendance included Ross, Baltimore County Executive Kevin Kamanetz, Krish Vignaraja, former policy director for first lady Michelle Obama, and Jealous running mate Susie Turnbull. Kamenetz and Vignarajah both received 8 percent of the vote in the straw poll. Ross introduced his running mate, Julie Verratti, who co-owns Denizens Brewing in Silver Spring and is a former senior adviser of the U.S. Small Business Association. Vignarajah wouldn’t commit to when she’s declare a running mate. Jim Shea said last week Baltimore City Councilman Brandon Scott would run as his lieutenant governor. It’s unclear whether Ralph Jaffe of Baltimore County, whose name wasn’t mentioned in the straw poll, when he’ll announce a running mate. Before the poll results were announced, Ashley Sharp, 25, of Bowie reviewed the group’s platform, separated under 14 headings such as education, poverty and criminal justice reform. • Support the legalization of medical marijuana. Najee Bailey, 23, president of the Young Democrats of Howard County, said he has yet to settle on a candidate. One conspicuously absent candidate was Prince George’s County Executive Rushern L. Baker III, whose campaign announced via email Monday he will officially file his candidacy Tuesday in Annapolis for the June 26 primary and declare Elizabeth Embry, chief of the criminal division at the Maryland Attorney General’s Office, as his running mate. Joseph Kitchen, 31, president of the Young Democrats, lambasted the gubernatorial hopefuls who didn’t attend Monday’s convention, especially Baker. According to a flier from United for Maryland, Baker and six other candidates will attend a forum Saturday, Feb. 24 at the Baltimore War Memorial. The candidate filing deadline is Feb. 27 at 9 p.m.